The ranch dates back to at least 1865, when Mr. W. O. Taylor used the ranch for grazing livestock. In 1885 it was owned by the notorious cattle rustler James McHaney. He used his various mountain properties to hide cattle that had been stolen from other ranchers. In the early 1900's it was acquired by Richard Stetson, who with his family planted the many magnificent apple trees you see here today! The photograph above shows the ranch in 1920, and part of the well established orchard. Fred Hill later owned it and also grew apples here. The ranch has also been a Boy Scout camp, and an equestrian camp. However the owners have respected the natural beauty and the history of the ranch, and it remains much as it has been for the past century. Our apple varieties are the same ones that your great-grandmother used in her family recipes. 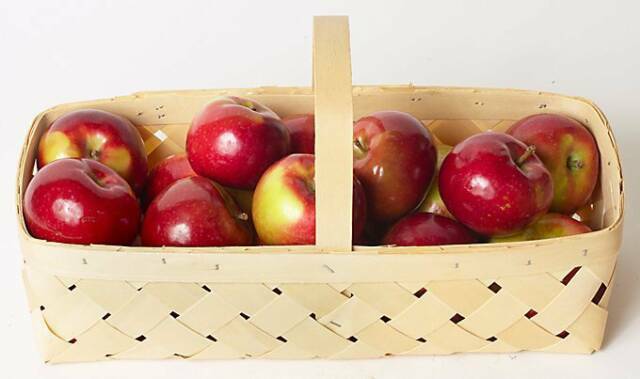 Our Winesap, red delicious and Red McIntosh apples are wonderful for fresh eating. The majority of our orchard are three varieties of Romes. And these are, in our opinion, the best baking apple there is. And fresh ff the tree, they are marvelous! The apple trees at the ranch are approximately 100 years old, and still produce some of the best apples you will ever eat! If you bake, or make delicious homemade apple sauce, apple cider, or just love them fresh and crispy, you will agree that our apples are wonderfully tasty!